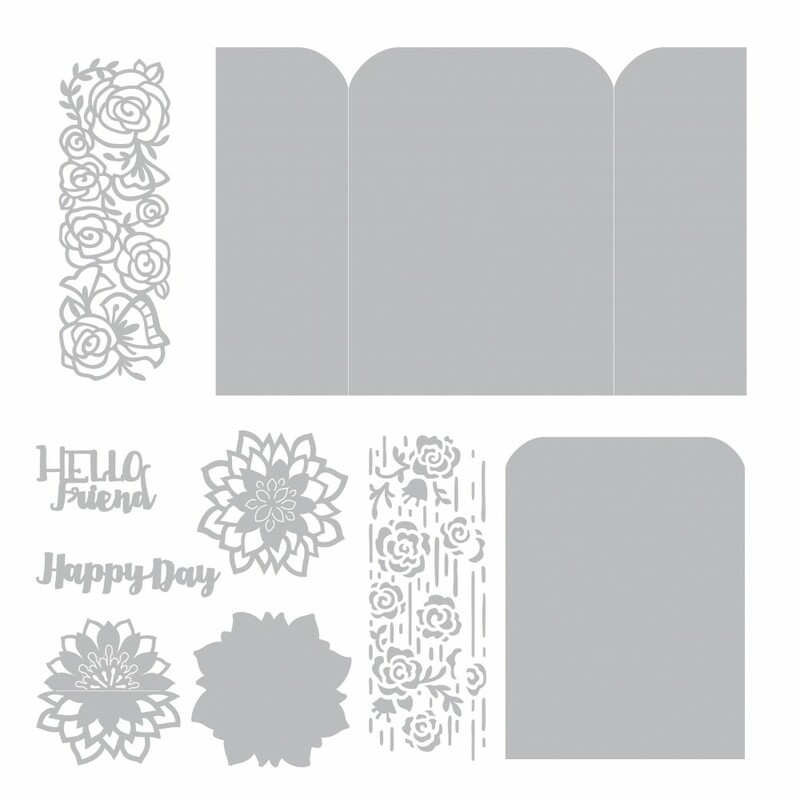 Create a unique card for someone special with the Hello Friend Gatefold Card Thinlits Die Set by Sizzix! The card features the sentiment Hello Friends and intricate flowers. 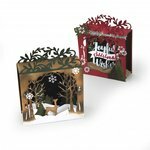 The package includes nine thin metal dies that are compatible with the Vagabond, BIGkick and Big Shot machines when used with a pair of Cutting Pads and the machine's included platform; all items sold separately. 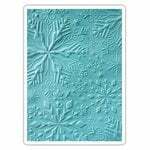 These chemically-etched and wafer-thin dies will emboss, stencil or cut a single sheet of metallic foil, vellum, paper or cardstock. The design dimensions are 2" x 1.15" to 8.5" x 5.5". 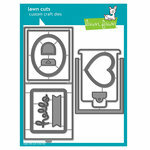 I like this card die cut because of its simplicity. 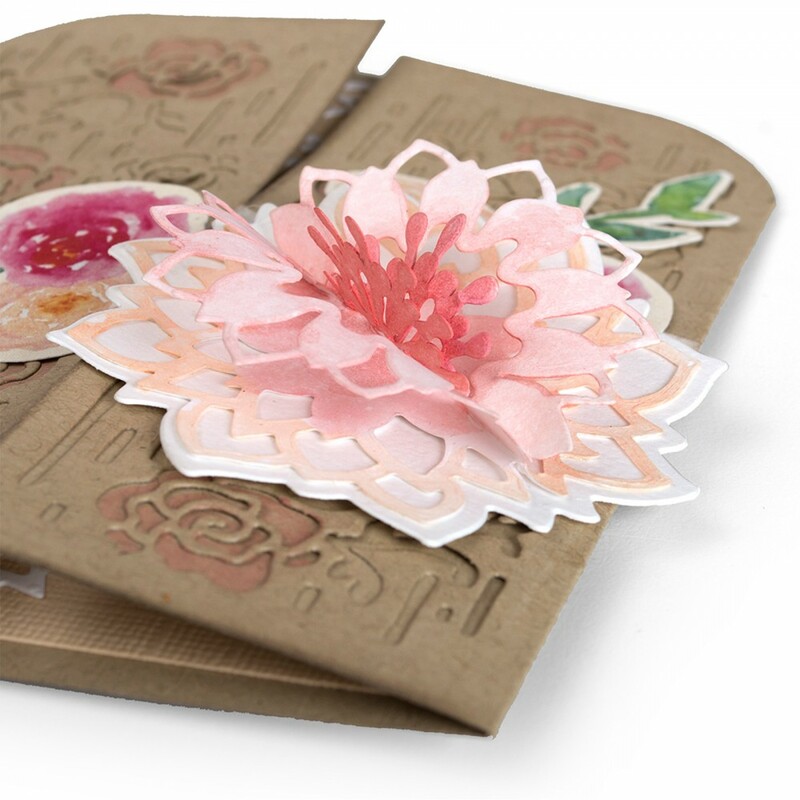 It comes with another die to cut paper for the inside of the card, ie-white or another light color so you can write inside the card. It would have been helpful in the product description if it stated that you would be more successful cutting it out if you have the extended cutting pads. (It barely fits the standard cutting pads. You would have to line it up PERFECTLY to use the standard cutting pads.) Overall, it's a great product. 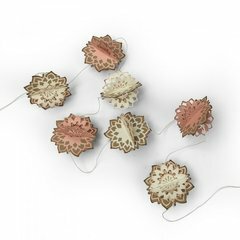 I found this set of dies difficult to use; especially lacking in information for how to create accurate registration, and in assembly of flowers. I love this set! 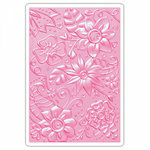 I've already made several cards using other dies that I have and specialty papers. I love the versatility. Great product! 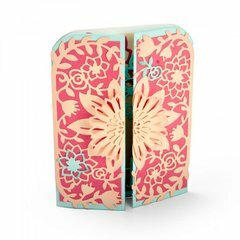 These dies make beautiful cards. I am so glad that I bought them. 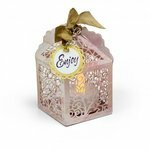 They are very versatile and you can make different styles with them. This is wonderful totally the right size. Will use this one a lot. I absolutely love this die! The gatefold card is elegant and doesn’t take much time to put together. 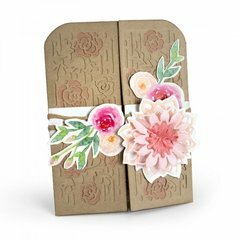 The pop up flower is great and it folds down for mailing. Just love it! Hello! Could you please tell me the dimensions of the final card? Is it A2? Thank you so much! By: oOfranziskaOo (27-Mar-18) Helpful Question? Yes | No Thank you! Report Inappropriate This question has been reported. Thank you! Yes, I just cut one to check for you. The folded card measures 4.25 x 5.5, the measurements for an A2 card. By: Janice Oehler (28-Mar-18) Helpful Answer? Yes | No Thank you! Report Inappropriate This Answer has been reported. Thank you! Haven't used it yet but pretty sure it's an A2 By: cefoxx (28-Mar-18) Helpful Answer? Yes | No Thank you! Report Inappropriate This Answer has been reported. Thank you! 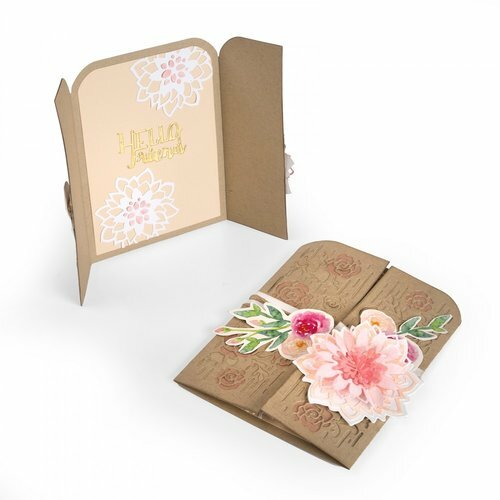 This is a fun and pretty card set, but I can't find the die/stamp for the other flowers used for the card shown. Anyone know? Thanks. By: mallen2 (27-Aug-17) Helpful Question? Yes | No Thank you! Report Inappropriate This question has been reported. Thank you! I realize there are no stamps in this set. 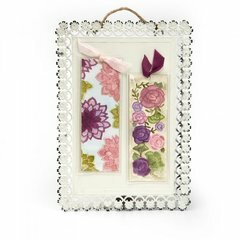 I was just wondering if the flat flowers on the left facing side were hand done or available as a stamp. I've seen the same design on a different card set so I figured it must be out there somewhere. By: mallen2 (29-Aug-17) Helpful Answer? Yes | No Thank you! Report Inappropriate This Answer has been reported. Thank you! i am not home to look at the set but if you look on the product page you can see that all of the dies are included. There are no stamps, the die cuts are inked. By: elbornstein (29-Aug-17) Helpful Answer? Yes | No Thank you! Report Inappropriate This Answer has been reported. Thank you!